Bang Pa-In Royal Palace, also known as the Summer Palace, is a palace complex formerly used by the Thai kings. The palace is located on the Chao Phraya River bank in Bang Pa-In district, Ayutthaya Province. King Prasat Thong originally constructed the complex in 1632, and though it lay empty and overgrown throughout the late 18th and early 19th centuries, King Mongkut began to restore the site in the mid-19th century. Most of the present buildings were constructed between 1872 and 1889 by King Chulalongkorn. The facilities include vast gardens and landscaping, Wehart Chamrunt (Heavenly Light), a Chinese-style royal palace and throne room; the Warophat Phiman (Excellent and Shining Heavenly Abode), a royal residence; Ho Withun Thasana (Sages’ Lookout), a brightly painted lookout tower; and the Aisawan Thiphya-Art (Divine Seat of Personal Freedom), a pavilion constructed in the middle of a pond. The palace remains largely open to visitors, as King Bhumibol Adulyadej and his family use it only rarely for banquets and special occasions. 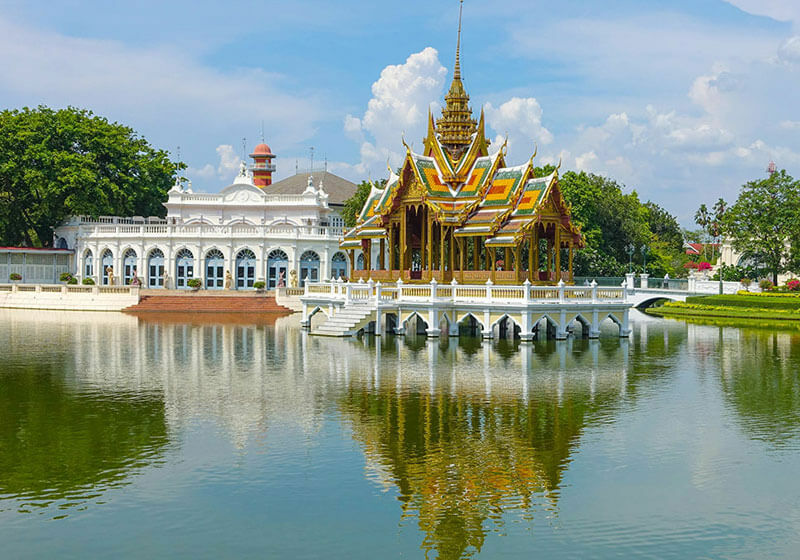 Short Description: Bang Pa-In Royal Palace, also known as the Summer Palace, is a palace complex formerly used by the Thai kings. It lies beside the Chao Phraya River in Bang Pa-in District, Phra Nakhon Si Ayutthaya Province. Awesome. You shoul not miss there.